Japan is a country, an island in East Asia, in the Pacific Ocean. Known as the Land of Rising Sun, Japan is a stratovolcanic archipelago, having more than 6000 islands. It has varying climates and around 20 Heritage Sites due to its rich history. The nation’s culture is influenced by Europe, Asia, and North America. Japan is a good romantic vacation destination for couples in Asia. Enjoy the beautiful landscape, sample delicious food and absorb the colorful culture of the place. Japan has a lot to offer to everyone. Read further to know about the top 10 honeymoon destinations in Japan. Karuizawa is a resort town in Nagano, Japan, where the architecture ensures that the town resembles a European hamlet. It is surrounded by forests that allow plenty of opportunities for couples to hike or bike on the trails. The town is known for its Ginza Street – a historic shopping street. Take your spouse to see Mount Asama and capture the sunset in your minds with a perfect kiss. The 3-meter-tall Shiraito Falls is a sight to behold with a 70-meter wide arch. Take a dip in the cool water during summer to cool off with your partner. 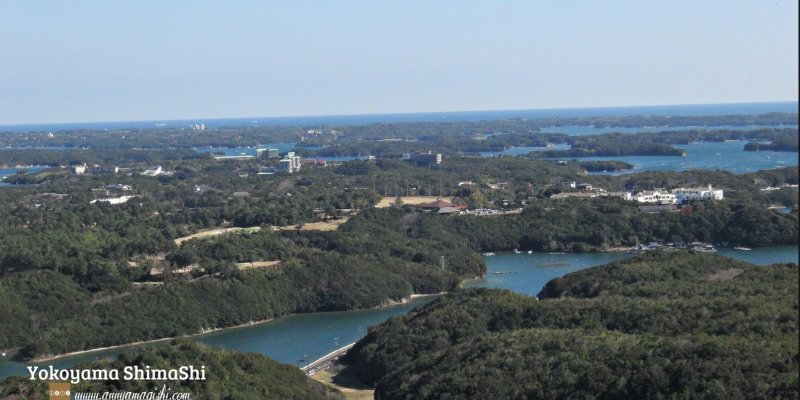 Couples can go off to the Usui Pass Observation Platform and revel in the beautiful mountain views. Stroll under lush vegetation and cherry blossoms around the calm Kumoba pond or enjoy a cold picnic with your love, Karuizawa is one of the best honeymoon destinations in Japan. The mountain town of Hakone is a train ride away from Tokyo on the Odakyu Romance Car and is a popular couple’s destination. There is an urban legend existing in this town about the fertility tree in the Hakone Shrine. If a married woman touches it, she will be blessed with a child. So, couples can start the physical process of making children right away. The town is known for views of Mount Fuji and its hot springs. Take your partner on the Hakone Ropeway for picturesque views and a chance to cuddle together out of the public eye. The beautiful town is one of the top honeymoon destinations for couples in Japan. Do stop by Ōwakudani – a valley with Sulphur vents and hot springs and try the kuro-tamago, which is eggs boiled in the springs. The eggs turn black and are eaten for long life. Visit the Hakone Shrine near a lake and enjoy a quiet romantic walk. Kyoto is considered to be the core of Japanese culture because of shrines, temples, garden and the traditional wooden architecture. Get to try the art of calligraphy or be a part of the traditional tea ceremony. Visit the Arashiyama Bamboo Forest in the morning and start your day with a calm and peaceful atmosphere. Take your spouse on a ride on an old-fashioned steam engine train. The train from Sagano will take you on a trip to Hozugawa Canyon. The view is magical in the winter when the landscape is covered in snow. See the 5000 torii gates in the Fushimi Inari-Taisha shrine or stroll along the lantern-lit streets of the Geisha district in Gion. This place is popular for ryokan or a traditional inn. Each room has its own garden and cedarwood hot tubs. Take advantage of the hot tub and indulge in some necking. It is luxury and hospitality at its best. Kyoto is a must visit in every couple’s romantic vacation. Osaka is a port city, known for its food and nightlife. The shogunate Osaka Castle is a popular tourist attraction and landmark. The castle is surrounded by a moat and a park that has cherry blossom and plum trees. Sit in the shade of the beautiful park and enjoy a quiet snack. If you want to do something fun, visit the Universal Studios is in Osaka. The Dotonburi shopping district is one you must check out. Take your partner on the Ferris Wheel of Tempozan to view the city and mountains from the top. Squeeze a quick make-out session at the top with your partner. Visit the Floating Garden in the Umeda Sky Building or stroll along the Tombori River Walk, Osaka is great for couples looking for a little fun. Try the grilled octopus dumplings, savory pancakes or Dōtombori yaki. Osaka has a lot to offer and is one on the list of top honeymoon destinations in Asia. Okinawa meaning a rope in the open sea is a treasure trove of surprises. Go relax on the beach with your love or go cruising on the water with a romantic sunset. Okinawa is a popular honeymoon destination for couples. The climate in Okinawa can be described as sub-tropical with white sands and blue water on the beach. Couples can go snorkeling or scuba diving to take advantage of the clear water and see the coral reefs. Explore the mangrove forests to see the hidden wonders, Okinawa is a very laid-back honeymoon destination. Hokkaido is the second largest island of Japan which has the wondrous undersea railway – Seikan Tunnel. Surprise your better half with a trip to Lake Mashu. It is the ultimate romantic and serene spot for couples, where you can cuddle and steal kisses. If you visit during the summer, you can spot fields of flowers in the lowlands. Stop by fields of lavender and sunflowers for amazing pictures. Otaru, a quaint seaside town is a romantic place for couples. Enjoy the Sapporo Snow Festival in February. Walk around the canal with your spouse, among the soft light, while the snow falls, and you get your warmth from your partner. The Miyajima Island is known for the torii gate that floats on the water at high tide. Hike through the Momijidani Park, full of maple trees or relax near the beautiful river while cuddling. Do stop by the Daisho-In, a Buddhist temple complex or see the remains of the Miyao Castle. Walk to Mount Misen, through the virgin forests. On the way, you can see the remains of ancient civilizations. The observatories on top provide a splendid view of the scenery. The magical Miyajima is a perfect honeymoon spot for couples. The village of Shirakawa-go is an old village and a UNESCO World Heritage Site. It is best known for its thatched roof houses that the older generations used. It looks like the house is half buried in the ground. In the winter, the snow-covered roofs give an impression of a small sleepy Christmas village. You will also be able to witness the Winter Lightup. Walk around the surrounding rivers and breathe in the clear air. Shirakawa-go is underrated but one of the most unique and pretty romantic honeymoon destinations in Japan. Tokyo the capital of Japan is a lively city that will leave you enchanted. Go up the Tokyo Tower with your partner and enjoy the romantic time while looking over the city. For those who want to have some fun, head to Tokyo Disneyland where you will be occupied in fairytales for the whole day. In the spring season lookout for Hanami or Sakura blossoms with your love. Go boating on the Chidorigafuchi Canal, under the blossoms, a perfect romantic setting for couples. Take a night cruise in the Tokyo Bay and spend time gazing at the rainbow bridge, Tokyo Gate Bridge and many more sights. Try dishes like wagyu, kushiage etc. Tokyo makes for an interesting mix of fast-paced with relaxation and is definitely one of the top honeymoon destinations in Japan. Beppu lies on the island of Kyushu and is famous for its geothermal hot spots. These are popularly known as eight hells of Beppu. Shidaka lake, a lake 600 meters above sea level is a must visit. Stop by the Otobaru Waterfall, a local favorite. The town is known for its sand bath that involves covering your body in the sand and is available anywhere in Beppu. The warm sand will relax your muscles. Try steaming your food at one of the hot spots, like Jigoku Mushi Kobo. This is a unique experience you will love. Visit the Chi-no-ike Jigoku, a geothermal spot and one of the eight hells, which has rust colored water. The Tatsumaki Jogku, another hell, has a geyser sprouting every half hour and is worth your time. Stroll hand in hand through Beppu Park and sample pastries. Beppu is a very unique holiday experience and is one of the top honeymoon destinations in Japan. Japan is a beautiful country, which has unique, sometimes quirky activities that you can partake in. But what is beyond doubt is that for couples, it will be one of the best holidays you can enjoy. Never though Japan can be a honeymoon destination. Well our honeymoon days already got over, but yet this can be a place for our 1st Anniversary. This cannot come at a more appropriate time! We are planning for our honeymoon next year in August and Japan is top on the list. We’re actually just deciding on which cities to go to and this post has helped a lot! Tokyo seems to be great place. The look of city from the Tokyo Tower, disneyland, night cruise, rainbow bridge all are very exciting. Thanks for giving these good tips! I’ll make sure to keep them in mind when I’m visiting Japan! Thanks! Wow I have no idea where I would start. Perhaps if I decided to Honeymoon in Japan I would have to hit all 8 spots and see all the sights. I am curious about the black eggs though, that sounds like something worth stopping of for. But the hot springs… and the cherry blossoms… Definitely need to visit them all! Osaka and Kyoto are two of my favorite place, and yup perfect for honeymoon. These cities are rich in natures parks and garden, would be nice to reconnect with the environment while on honeymoon. I have heard a lot about Okinawa. And I am sure with the sea right next door it would be an amazing experience. Although any of those places sound pretty great. My husband said Tokyo is beautiful so that might be our destination soon! Can’t wait to see beautiful places in Japan. Very informative for someone getting married and looking for a honeymoon destination. I can relate to the feeling that I haven`t considered Japan as a honeymoon destination either. I think most people think of exotic destinations. We are debating between South America or Asia for our honeymoon and to be honest, the battle is tight. oh that’s sad to hear. Maybe some other time.. I and my husband are planning a vacation soon. After reading this post, we think Japan is just the perfect place to go but honestly, we never thought Japan would be a great honeymoon destination! I really want to go to Tokyo!